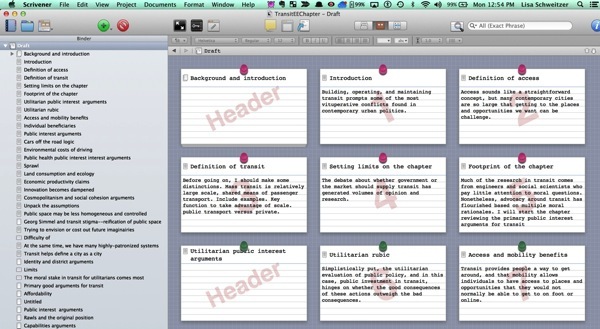 Oh, how I love the storyboarding and outlining in Scrivener. Here is my current work in progress. My storyboards consist of the topic sentence for each paragraph. Once I have those, writing goes much more quickly.